If you’ve always wanted to be a nurse but want to attend a Christian college, you’ll be delighted to learn that you can get a Bachelor’s in Nursing from a Christian college. Although there are several ways to become a nurse, getting a bachelor’s degree in nursing will open many doors to you that might not be opened through other means. There are three primary ways to become a nurse. You can get an associate’s degree from a college, get a bachelor’s degree, or obtain a nursing diploma from a trade school. A bachelor’s degree in nursing generally prepares students well by providing more clinical experience than the other two options. Additionally, many nursing positions are not open to nurses who do not have a BSN. Once you receive a Bachelor’s of Science in Nursing, you will be prepared to pursue graduate education in your field should you or your employer decide that is the best way for you to advance in your chosen career path. Although the types of clinicals required of nursing students varies from program to program, these opportunities not only help nursing students become familiar with a wide range of work environments but also help students in choosing a specialization within nursing. In addition to these types of nursing, there are many others, and some types of nursing, such as being a traveling nurse, often overlap with other categories such as being a scrub nurse. Nurses that work in emergency rooms and operating theaters need to work at a faster pace than school nurses or in-home healthcare workers. If you want to be a nurse, choosing a good BSN program is a great way to start. 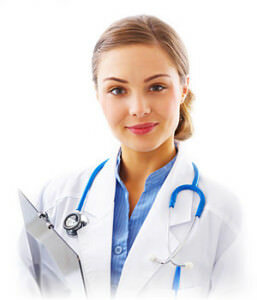 There are many good programs available, and you can get a Bachelor’s in Nursing degree from a Christian college.